This past weekend the Montana Chapter of Wild Sheep had their annual banquet. Sheep banquet is always a good time and as a life member, there is at least a small chance at winning a sheep hunt. I have met a lot of great people through these types of events and I think Riley and I first met at one of these as well. Riley Pearson is good ol Montana boy who grew up hunting and running around in the outdoors. In this podcast we talk about his transition from chasing elk through the mountains to his love of sheep hunting. Riley first started hunting the “unlimited’s” with a friend and fell in love with the challenge of it all. We talk about the unlimited’s and really how it takes a special kind of person to want to use their entire hunting season to probably not see a legal animal. Poor Riley actually got a chance a great ram in the unlimited’s and end up missing. Talk about a heart breaker, as Riley shares the story and how it all went down. Today’s podcast is brought to you by Backcountry Fuel. It is that time again, time to start stocking up the food stash in prep for hunting season. 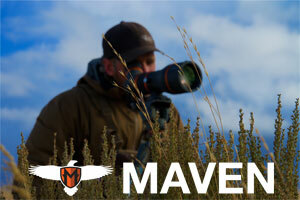 If you have been thinking about signing up now is the time there are only 5 or 6 boxes between now and archery season. So if you plan to stock up the time to start preparing for season is now not the week before season. I may be biased because it is my box but I love getting the box because first and foremost I now always have snacks and bars when Kels and I go for a hike or off on a trip. I have also found so many cool products from the box, and really that is why I started it. I would always see cool new products on Instagram but would never take the time to order each one or try them out. I’m telling you sign up, you’re gonna love it and if you don’t there is zero commitment, don’t like it just cancel. We are so confident you are gonna like it we don’t have to trick you into some 6 month deal. Head over to www.backcountryfuelbox.com and use the TRO code to get 10% off. Do you enjoy hitting the hills hard and having some laughs all the while chasing bugling bulls in September? Heck, if you haven’t even gone elk hunting before, let’s take some years off your learning curve and go elk hunting together next fall! This year, I am taking one lucky Patron along on an OTC elk hunt where we will get the chance to learn a unit together. No doubt, we will probably hike a lot, hear crickets in response to our bugles, and probably run into more than a few Doug Fluties. On the other hand, we could easily have the hunt of a lifetime with a bulls screaming their face off, eyes rolled back and so fired up that they come charging in right to your lap. It’s my goal to get you into a situation where you are so excited you not only forget how to draw your bow but also lose some basic motor functions. If that sounds at all fun to you, sign up for Patreon to be entered to go on a hunt with me next fall. Note: You will not find information on the Elk Hunt Giveaway on Patreon per their terms and conditions. Please see official contest rules for more information. Today on the podcast I am joined by a good friend, straight shooter, and for a Canadian a pretty damn good guy. Steve Ecklund is the Host of The Edge TV and has been fortunate to get to travel the world over hunting all kinds of big game critters. The thing I truly appreciate about Steve and the reason I would say I consider him such a friend is that Steve comes from very humble beginnings and he stays true to that. I first met Steve when we did our first show together back in 2016 EP 84: Mental Toughness in the Backcountry. We have since hung out multiple times and I can tell you he is the same in real life as the TV show and even on the podcast. I highly recommend going back and checking out that first episode if you get a chance it is truly one of my favorites. In this episode, Steve and I chat about some of his recent trips including a 4-day stent in a Mexican prison, riding in Russian helicopters, and the complications of the bathroom situation in a tree stand while -20 below. This episode is packed with great stories as well as some great takeaways. Please enjoy! Today’s podcast is brought to you by On X the best freaking mapping system out there. I am blown away at how many people still don’t have it. This time of year I spend hours upon hours scouting with my On X maps. With tag draws in full swing it is 100% about getting a good tag and a big piece of getting a good tag is figuring out if you can find a hidden gem. Finding that spot where you can get away from people. That’s why I spend hours combing through the maps. My favorite feature this time of year besides the public-private mapping is the ability to switch form topo to satellite view, or even hybrid. I find certain features are more noticeable when I switch back and forth. I have also set about 10,000 waypoints on my maps marking everything that even remotely looks interesting. The cool part about that is that when I scout with my desktop all of those spots are automatically on my iPhone so when I go to the field I can save my maps and have all of that info. If you don’t have On X you are missing out check it out wherever you get your apps and use the TRO code to get 20% off your membership. Wapiti Wednesday – Who Wants To Go Elk Hunting With Me? My first out of state hunt was a big threshold that I crossed. I had hunted elk most of my life. At 9, I went on my first elk camp trip and I had been into archery that long as well. That next winter, I pulled up the Idaho Fish and Game Hunt planner on their website and proceeded to start down a rabbit hole that might have been a key turning point in my life. As a kid, I remember laying in my bed looking at the Oregon game regulations and studying all the dates and tags to see how many hunts I could get. I was trying to have the most amount of days in the woods. As I dove into the Idaho Hunt planner though, this was on a whole new level. An entire state to comb through and figure out! I spent hours upon hours trying to plan my first out of state hunt, and I will never forget purchasing that first non-resident elk tag. I ended up hunting by myself. Between no one else having the time off or just not wanting to “waste” that much money on an elk tag, I couldn’t convince any of my friends to go. With no chance to really scout anything, I showed up with a lot of ambition and zero direction. That hunt turned out to be one the best elk hunts I have ever been on. It tested me in every way possible. I followed a herd bull for hours in a hurling rainstorm, wearing nothing but some cheap-o, Bi-Mart camo rain gear. I was so close so many times, but just never got an opportunity. After being completely soaked and dejected, I almost threw in the towel and headed home. After driving to town and getting a burger, I thought, “I gotta give it one more try.” I slipped into the same area I had left the herd that morning, and with a stroke of luck that bull stepped out. He offered me a shot as soon as I bumped into the herd. I could hardly wait the 30 minutes to start looking for blood, and when I came over the hill, I was looking at the first true herd bull I had ever taken. It was a long night, with wind blowing sideways and rain beating me down. The next morning when I woke up, the sun was shining down and I didn’t own a dry piece of gear. I built a fire to dry things out, and made a huge breakfast before heading in to get my last two loads of meat. I will never forget that “having done it” feeling that morning. When everyone doubted me, when I had no idea what I was doing, when I had no one to show me how to do it or where to go, I killed my biggest bull to date, by myself, in a completely new state. This hunt opened my world and started me on a journey to find the next thing, to travel to new places, and ultimately, it really showed me that I can pick a spot and go anywhere. Fast forward to today, and many of my best hunting memories are choosing somewhere completely new and figuring it out. I get tons of questions from you guys, listeners of the podcast, about planning your first elk hunt or planning an out of state hunt. While podcast provides loads of information, I wanted to really take it to the next level. What if I could take a hunter, one of you guys–a listener of the show, and show you from start to finish how to be effective? From how I look at choosing a unit and why, to how to e-scout, and how to make a game plan without ever setting foot in the unit. You and I will both have no idea where to go, but we are going to find elk and get one killed. I want to show you how to not only call elk but how to call elk in that area, how to hunt that area, how to find elk when they disappear. I want to show you how to call elk solo and how to call elk as a team. I just think it would be so cool if I could take a listener and show them exactly how to do it, and then, when we have two dead elk on the ground, that’s your spot. You can come back and hunt that unit as long as you want. Don’t get me wrong. This is in no way, shape, or form a canned hunt. In fact, things are most likely going to go wrong. At some point, you will probably even be wondering how I have managed to ever kill a single elk. But damnit, we are going to have fun. We are going to find screaming bulls, and my one goal (outside of having an epic hunt) is to get a bull to scream in your face so hard you forget how to use your bow. Think of it as a custom feed that gives you all access to the podcast just like you listen to it now, but without ads and with epic giveaways, monthly Q&A sessions, and a lot more. First off, you must be a Patreon supporter. When you head over to Patreon.com/therichoutdoors and become a Patreon supporter, there are two options. Tier 1 is the Woodsman. It’s $5 a month, and with that, there are all kinds of benefits. For the sweepstakes, in particular, you will get 1 entry every month that you are a member. If you choose Tier 2 and become a Jeremiah Johnson, for $15 a month you will get a pile of extra bonuses, but in addition to that, you will also get 3 entries toward the sweepstakes for every month that you are a Jeremiah Johnson. It’s as simple as that! On June 5th, Wapiti Wednesday, we are going to choose 5 random names from those entries. From there, those 5 will have 10 days to make a video telling us why they think they should win the hunt. Now, you are probably wondering why we don’t just choose a random name. I want the person who wins this hunt to truly be excited about it and really want to learn and want to be there. So, if you want to learn how to elk hunt, and you want to go on a hunt with me, go over to our Patreon page and become a Patreon supporter. The bonus is you get access to Wapiti Wednesday and Muley Monday all year long. Also, please see the official term and conditions, which I will link to in the show notes. For this sweepstakes, you must be a U.S. citizen and the sweepstakes are void where prohibited. No purchase necessary to be entered and purchase does not increase your odds of winning. See official terms and conditions for details. What’s up Muley Freaks, today I am joined by a couple of good buddies who recently launched their own YouTube series called The Icon Tour. 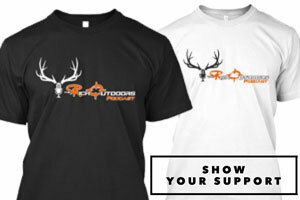 If you love mule deer hunting I highly recommend you check it out. Russ Sevy and the Switchback Outdoors crew travel around the country from Colorado to Wyoming, to Montana, and finally ending in Idaho, the crew had an epic year last year hunting season and captured it all for you. In this podcast, we dive into quite a bit of how they went about choosing what units in each state and the logistics of just picking a unit and going for it. We talk about what they liked and didn’t like about each state and what they would have done differently. Not only is this an epic series to watch to get motivated but it also shows that if you really want to go on a mule deer hunt it is just a matter of setting your mind to it. We also cover what the hurdles of doing a out of state november hunt are and how the Switchback outdoors crew got over them. 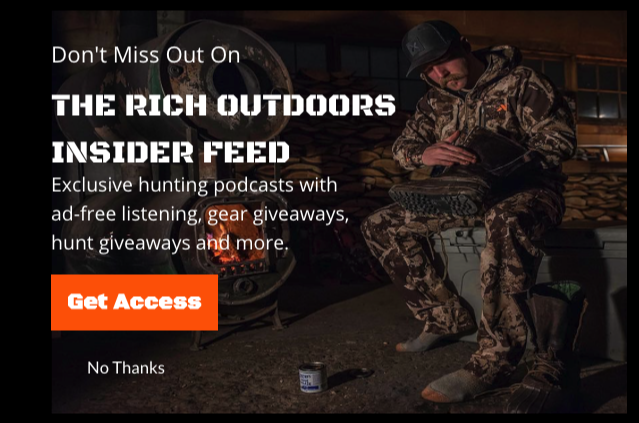 To get full access to The Rich Outdoors Podcast episodes, including Muley Monday and Wapiti Wednesday, become a Patreon here. Get the exclusive TRO Insiders Feed in the podcast app you already listen to.